Sunday Afternoon - I came back to Pallet to see the changes from yesterday. I talked to the fisherman once, then again and he told me to come back later, I walked away and came back. 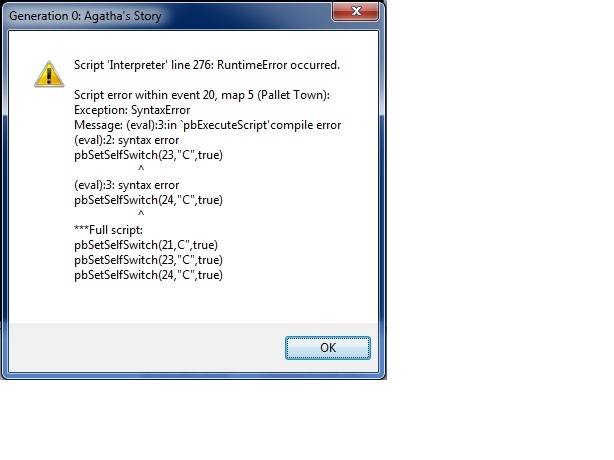 The third one was the bugged one, he started talking and the game crashed. I had fixed this in the closed build, and was hoping no one would find this before I updated it to .6.19 :p Good job nonetheless! If you have any more bugs, just edit your initial post and reply to the thread. Thanks again!! !